Description: Drip in Finesse for the youngest Bardi fan! 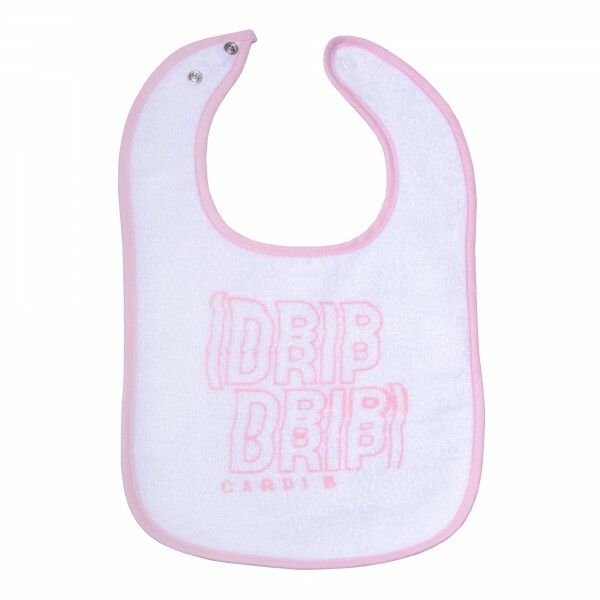 This white bib is outlined in blue and features '(Drip Drip)' printed in a pink ripple pattern. Below that 'Cardi B' is printed in blue as well. 100% cotton.